We are a place of wonder. We are a place that’s true. Because, you know, Imagined Things have such real value too. We are a place of wonder. We are a place that’s true. Because, you know, Imagined Things have such real value too. Delighted to be different with many wonders to find. Stories that stay with you forever little and large. Plus cards, gifts and stationery to do things your way. A local bookshop that will always care. So let us cater for your every reading, writing, stationery need! To contact us please call 01423 391301 during opening hours or email books@imaginedthings.co.uk or use the Contact Us page. We are passionate about imagined things and the books that contain them. 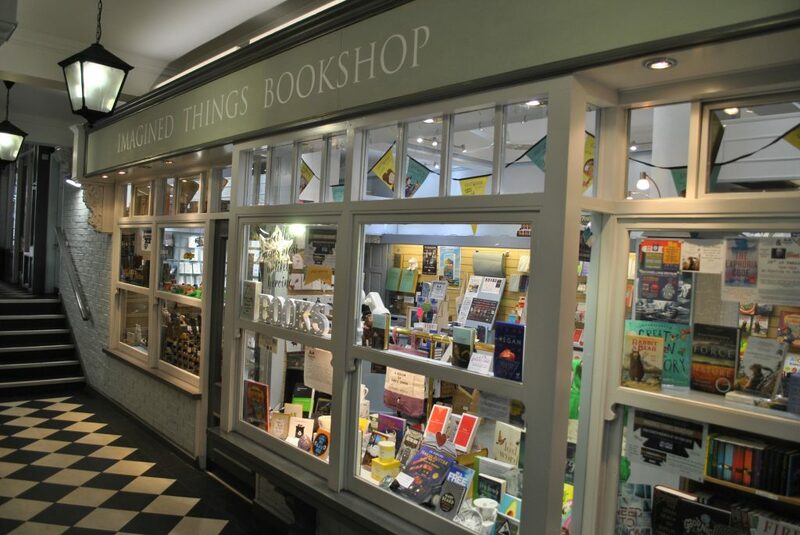 We think there is nothing better than browsing for your next read in a physical bookshop, and that nothing compares to flicking through the pages of an actual book. There is nothing better than connecting with the people behind the books: the authors. We hold a variety of author events including signings and evening events, adding to the already strong literary roots of the town.